How about an alternative to your morning cup o’ joe that you have to be naked to enjoy? 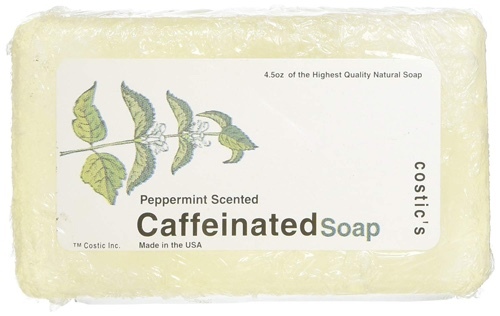 Well here you go, peppermint-scented caffeinated soap! Jump in your morning shower and suds up and you’ll get a bit of caffeine right through your skin served up with a nice therapeutic peppermint aroma. You can start getting your daily caffeine fix before you’re even dressed! And there’s a bonus… topically applied caffeine is reported to be effective in helping reduce the risk of skin cancer as well as in lessening the appearance of cellulite.